I try to do good by my body so I can look and feel my best. I eat natural foods so why not use natural products on the outside of my body too. I don't want chemicals in my body so I need to stop putting chemicals on my skin and hair. 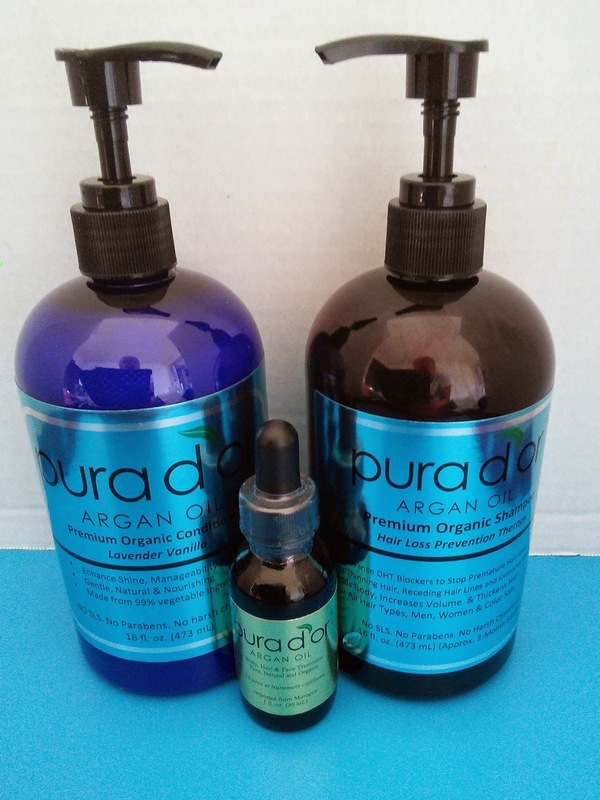 I was sent three Premium Organic products for my hair and skin from a company called Purador. 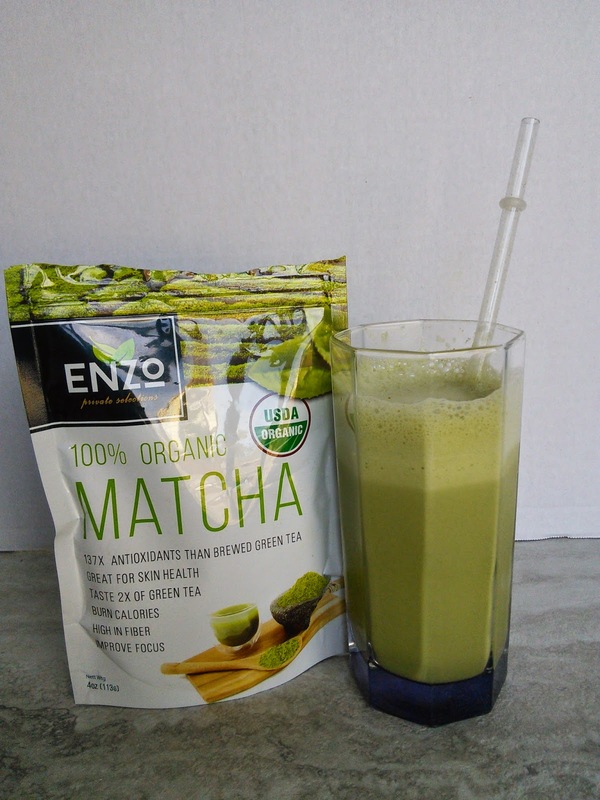 Their products are made with at least 95% organic ingredients. These products not only smell great but did a good job of making my skin and hair look nice. I just love their Vision and Mission statements. 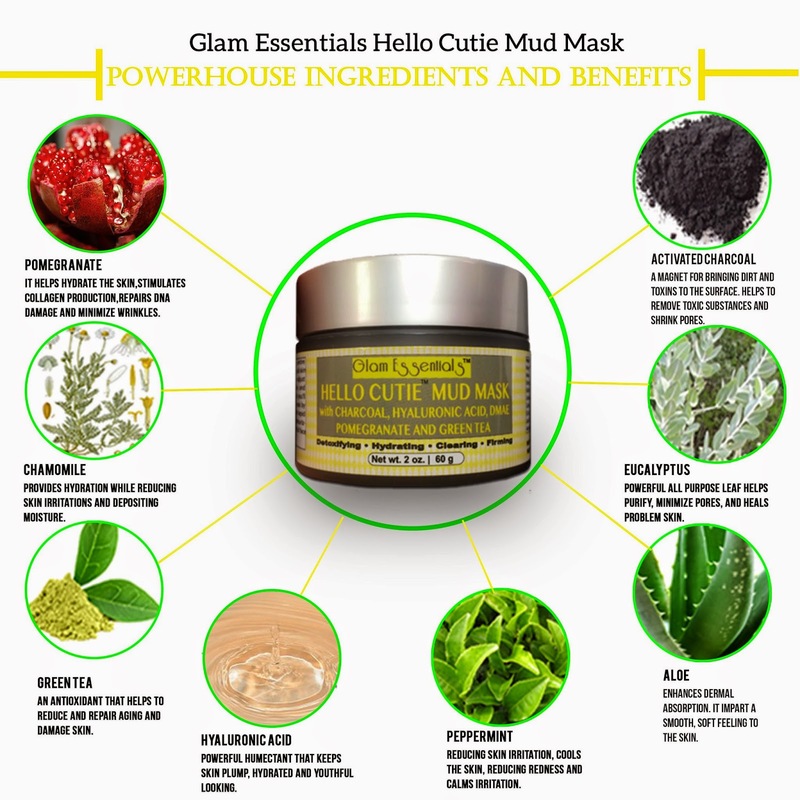 I loved that I was able to use natural products in my hair. 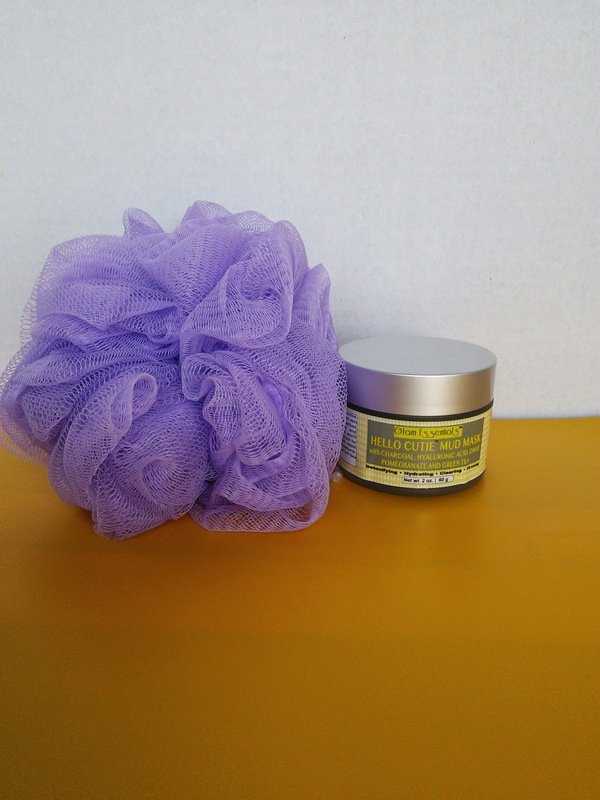 I had to get use to how the shampoo worked because it was free of sodium lauryl sulfate (SLS), the chemical that makes a rich lather, I had to get use a no lather clean. The conditioner had a great lavender scent to it and it made my hair easy to manage and soft. 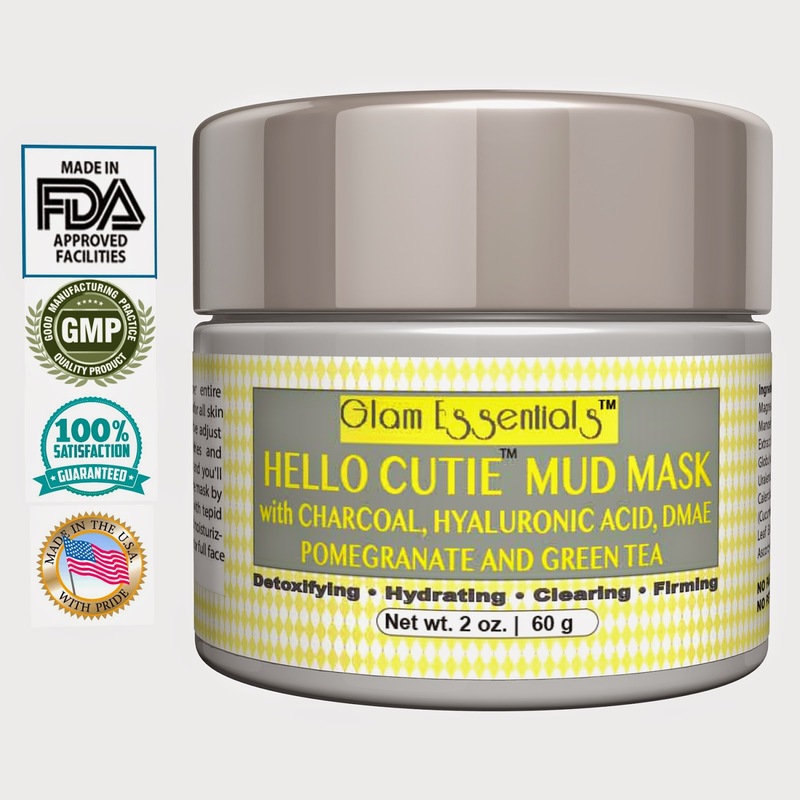 The Argan Oil had an enjoyable light scent and made my skin fell smooth. 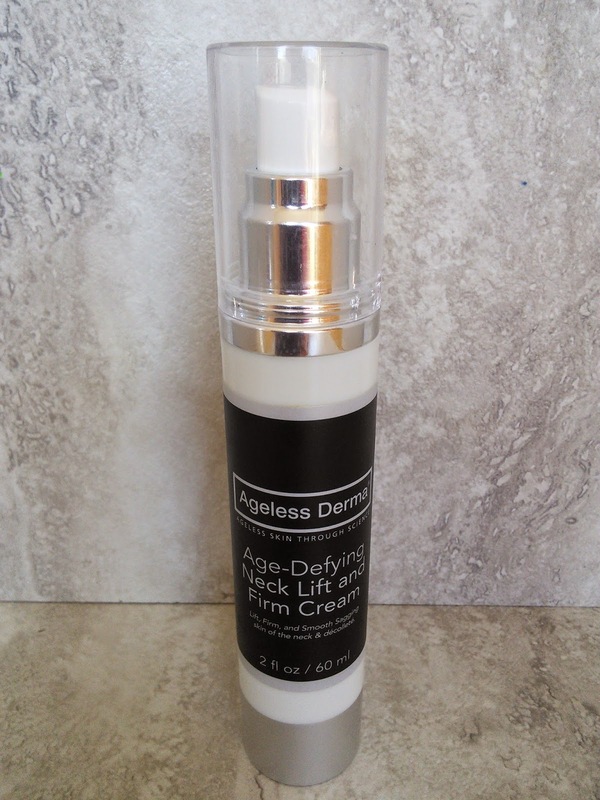 The Argan oil, being a natural oil, did take longer to absorb into my skin, but the softer skin made it worth it. 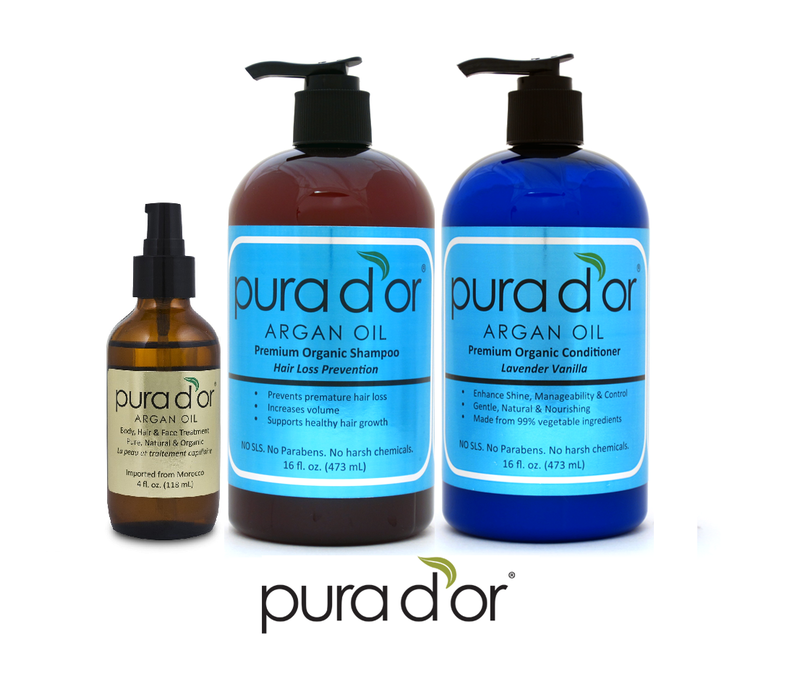 So if you want better beauty products made from ingredients that are all natural with no harsh chemicals and animal cruelty free, try Pura d'or Hair & Body Care Products. 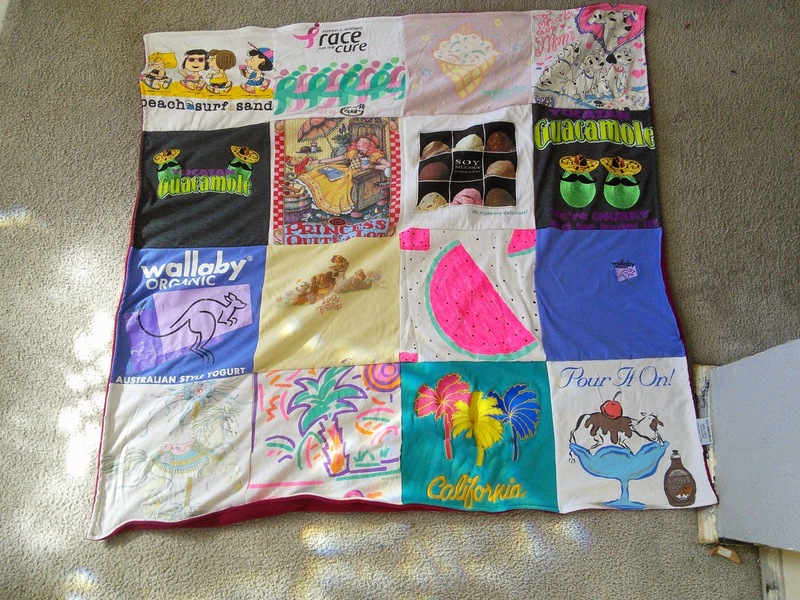 "These opinions are my own and I received the above mentioned products to write this review." 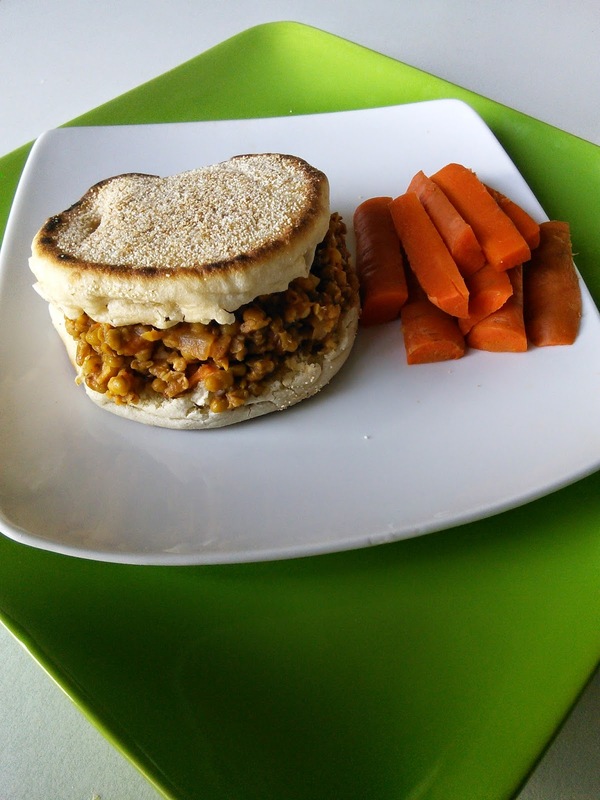 I have a wonderful meatless recipe for sloppy Joe's and the awesome thing is that it is made in the slow cooker. 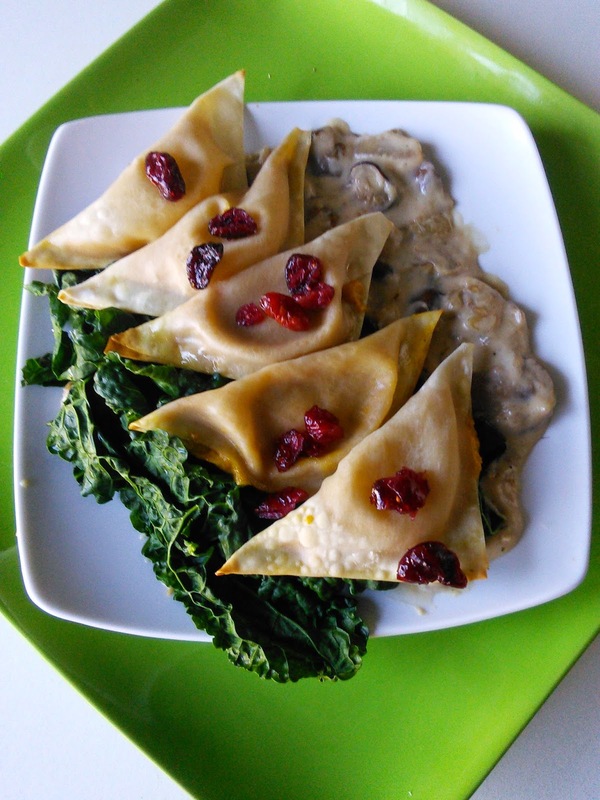 This is an easy recipe to start in the morning before and dinner is ready when you come home. 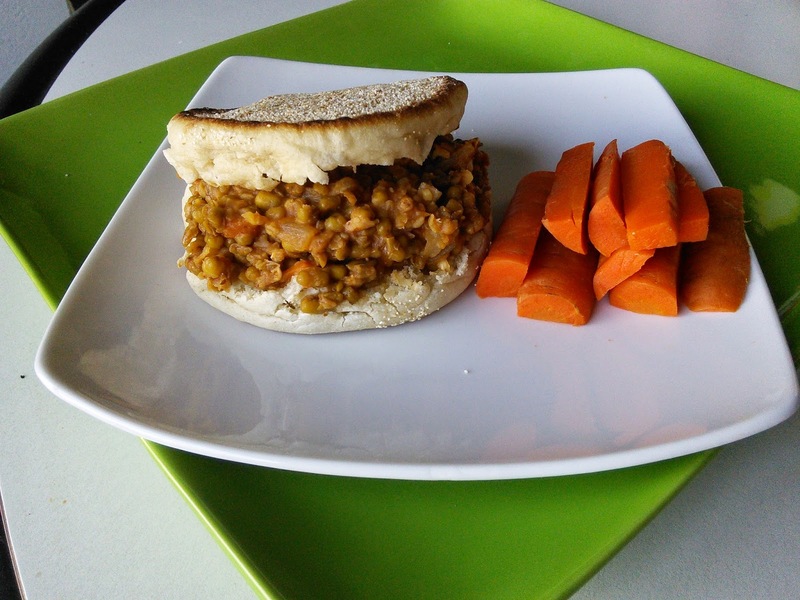 This meatless recipe uses Moong Beans for the protein source and tastes just like sloppy Joe's. 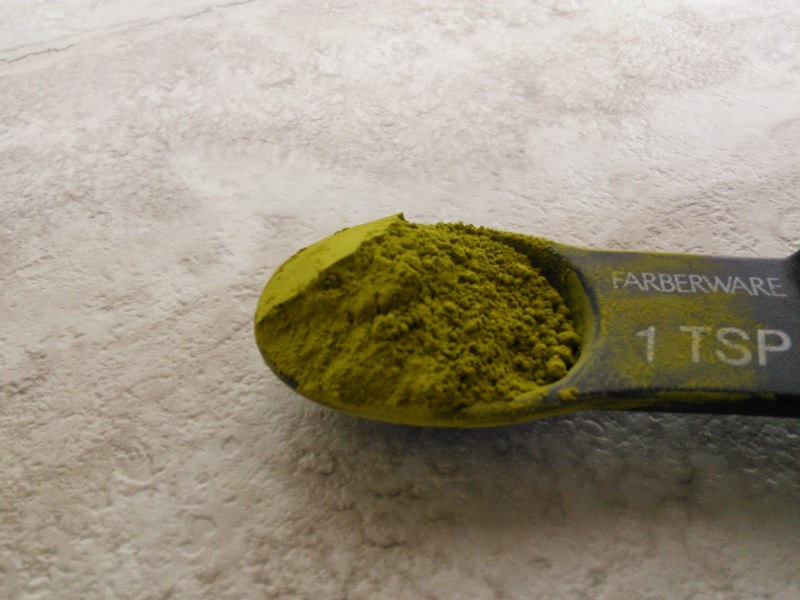 So what is Moong Beans? 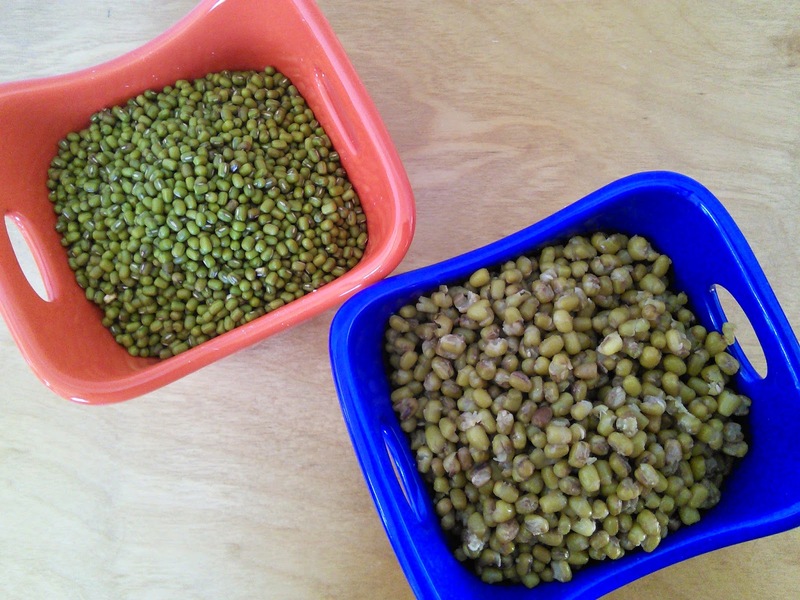 Moong Beans are a green legume, also known as mung beans. These beans are used in Indian cooking to prepare Dal and Curry. These beans can also be sprouted to make bean sprouts. These little green beans contain no cholesterol and very little fat, making them a healthy addition to those seeking a high-protein and fiber addition to their diets. 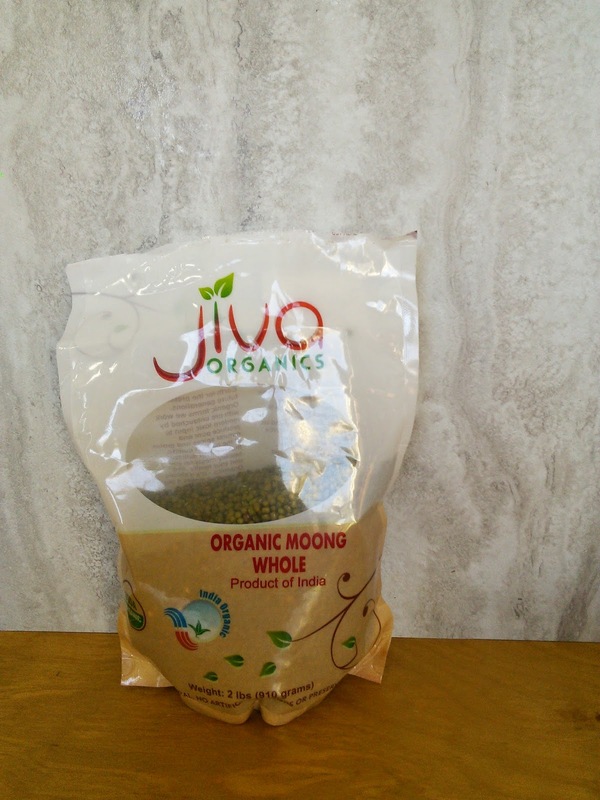 I was sent a package of Jiva USDA Organic Whole Moong (Mung) Beans and I could not wait to cook with them. These beans are USDA Organic Whole Moong Beans grown in certified organic farms in India and are a perfect complement to vegans and vegetarian lifestyles.I love that a serving of these beans contain nearly half of the daily recommended intake of protein per serving and 47 percent of daily iron. I have used bean sprouts, sprouted from the Moong Beans, in my cooking to make Egg Foo Young but I have never used the Moong Beans in the original form. I had to cook up a batch of the beans to see what they look like. They were easy to cook*. Below is how the green beans look before and after they are cooked. Once cooked the beans are ready to use in many recipes. This is what the Moong Beans look like when they are sprouted. These are sprouts that I had bought from the store but I have heard of people sprouting them at home. 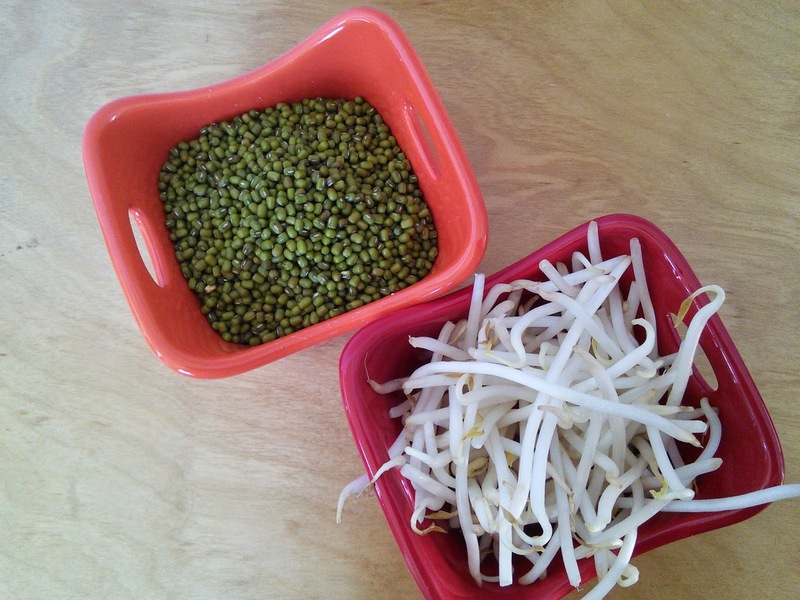 The bean sprouts are yummy in in dishes like Egg Foo Young and salads. To buy these Jiva USDA Organic Whole Moong (Mung) Beans so you can make this recipe or try sprouting them, just click on the below link. 1. Heat the oil in a medium skillet over medium heat. Add the onion and saute for 3-5 minutes until lightly brown. Add the chili powder, stirring to coat. 2.Transfer the onion mixture to your slow cooker. Add the Moong beans, tomatoes, water, soy sauce, mustard, brown sugar, and black pepper. Stir to combine. Cover and cook on low for 8 hours or on high for 4 hours. Serve on toasted buns or English muffins. These can also be served in bowls. Soak 1 cup beans overnight in 2 cups water. Drain water and place beans in a pot with 2 cups water. Bring the beans to a boil and then cover pot, lower temperature and simmer for 1 hour. Drain the water and the Moong beans are ready to use in recipes. How would you like to take a shower with colored water? 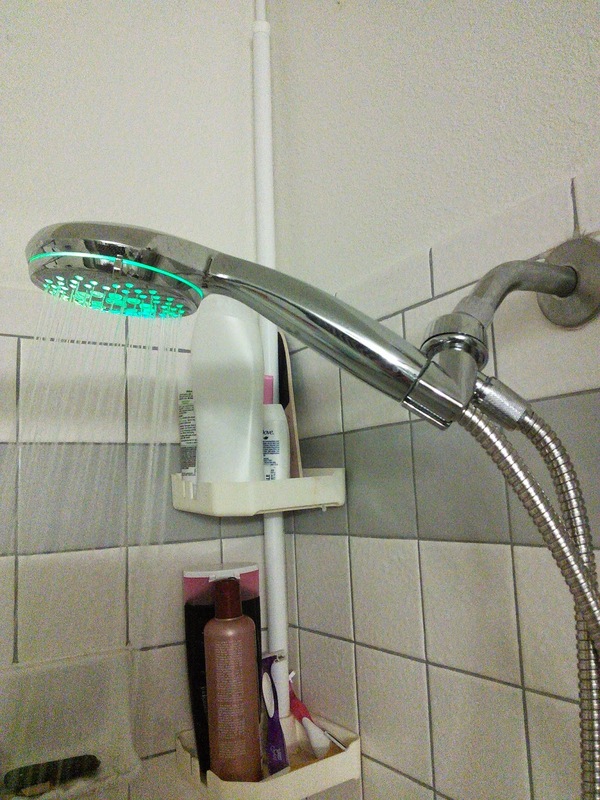 This sounded awesome to me so I agreed to review the World's Only Chrome-Face 7-setting 7-color LED Hand Shower! 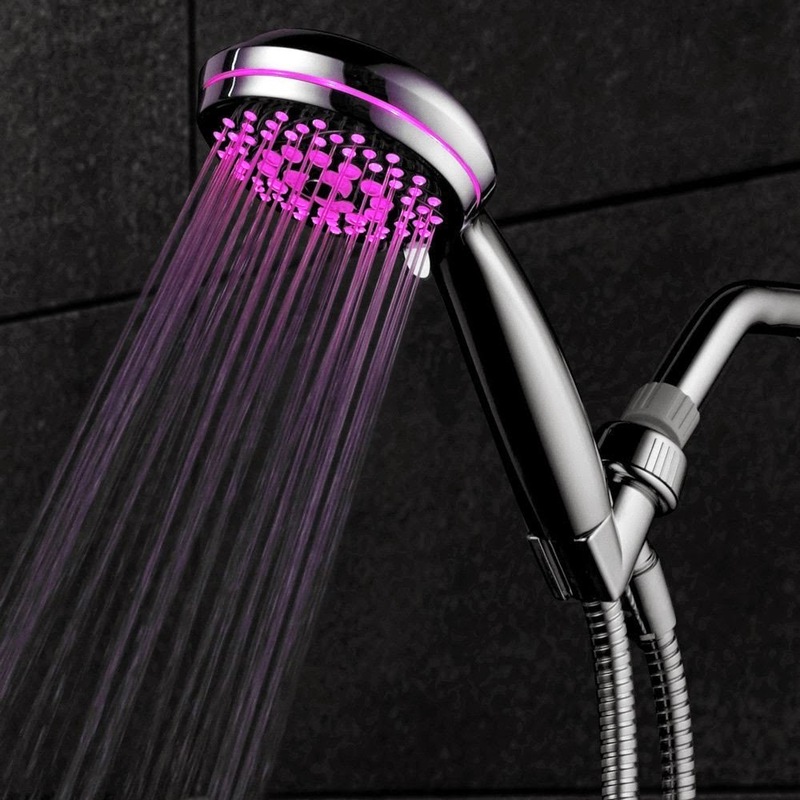 This shower makes shower time more fun with water in 7 different colors. This shower was easy to install and made my shower feel like a spa with its 7 different settings. HotelSpa turns a boring shower into an exciting shower with its Spectrum Ultra-Luxury 7-setting / 7-color LED Hand Shower. The cool thing is it is powered by water, so no batteries are needed. Here is what the shower looked like out of the box and installed in my bathroom shower. Watch a video to see it in action. To see more photos of this cool HotelSpa® Spectrum Ultra-Luxury 7-setting / 7-color LED Hand Shower and to purchase one, click on the below links. Now for the best part! 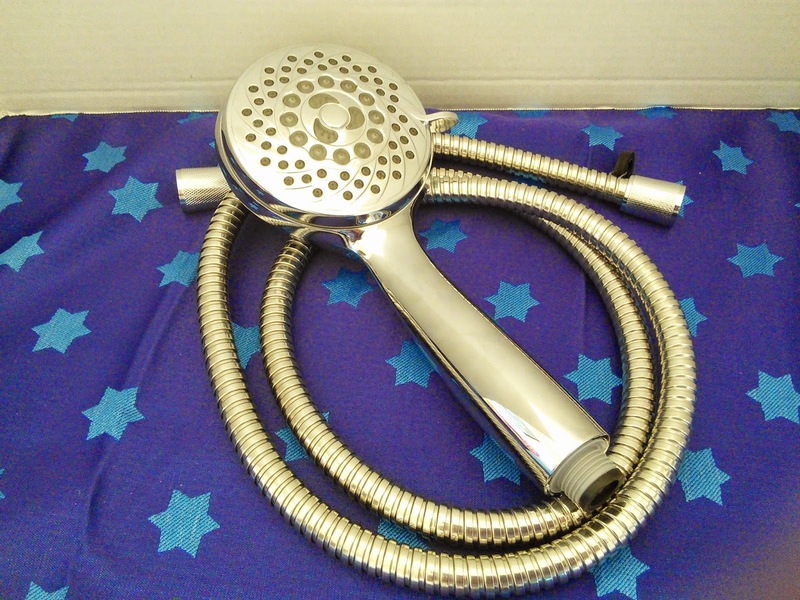 I have a HotelSpa® Spectrum Ultra-Luxury 7-setting / 7-color LED Hand Shower to giveaway to one of my readers. Just enter on the Rafflecopter form below and good luck! 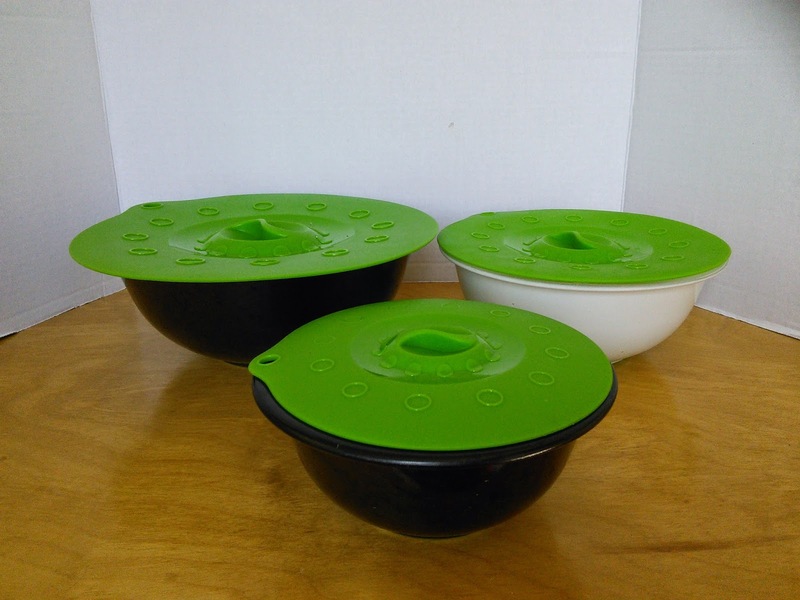 I love to cook and got so excited when Ozeri asked me to review there Ceramic knives and stand. Cooking is so much easier when you have the right knives. I find that when I use cheap dull knives, cooking is frustrating. It is hard to chop and cut when the knives don't work, making the job more difficult. It can be down right dangerous when you cut with dull cheap knives. A dull knife slips and slides while a sharp knife is easier to control as it requires less effort. 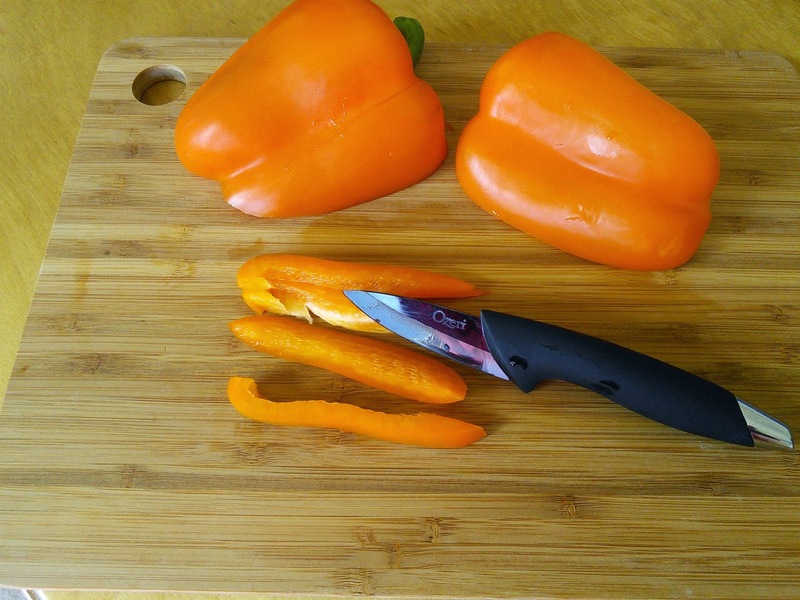 A knife with ergonomic handles also makes cutting less dangerous. The Ozeri Elite Chef Black Ceramic Knives are sharp looking knives that are ultra-sharp 100% ceramic knives. These knives not only look cool but also do a great job in the kitchen. 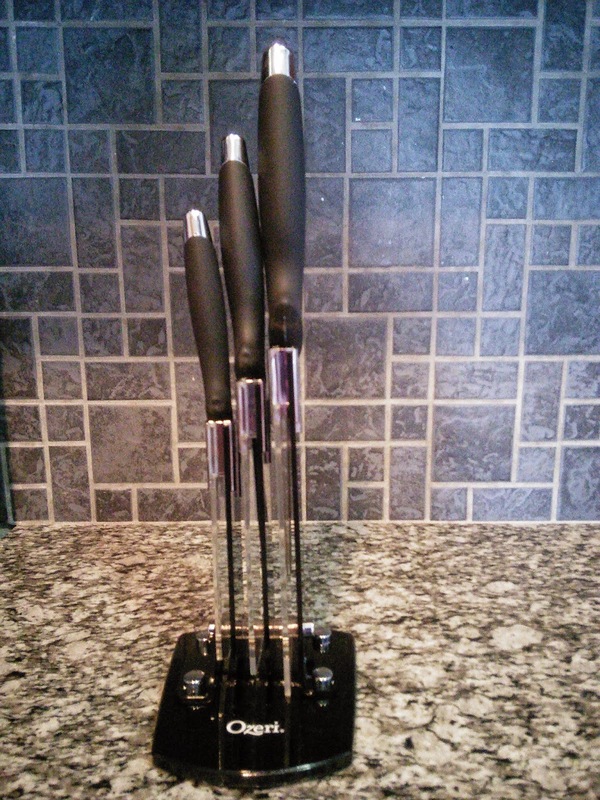 I just love the matching Adjustable Ceramic Knife Stand to store the knives in. You can't have one without the other. 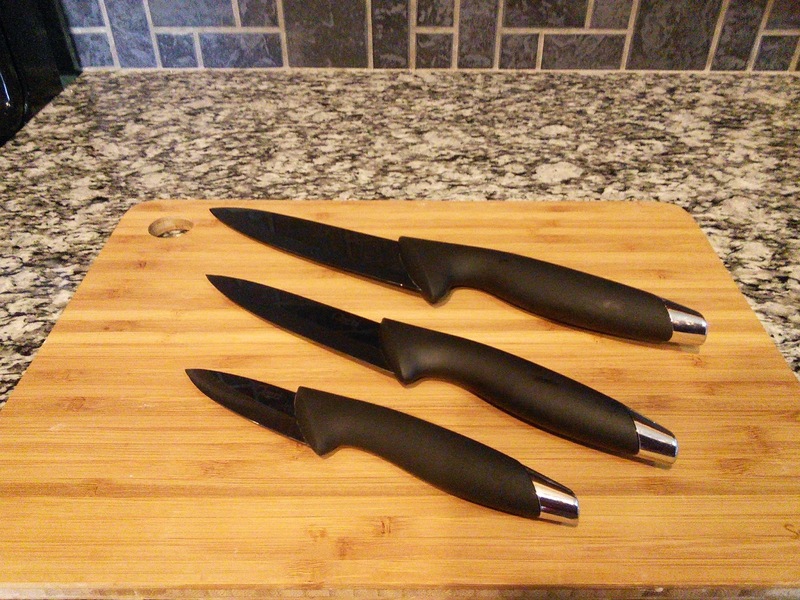 Let me tell you why the Ozeri Elite Chef Black Ceramic Knives are so special in my kitchen. This 3 piece set knives are 100% ceramic and last longer than traditional steel blades. 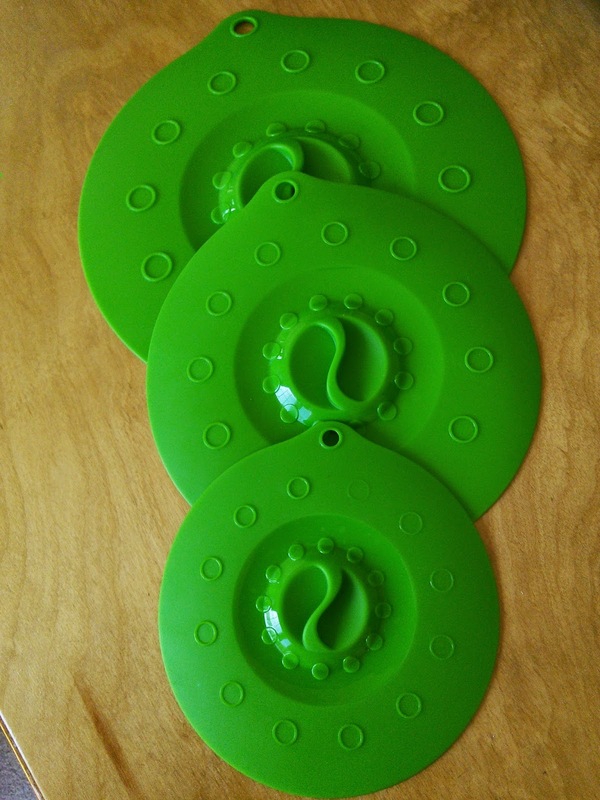 Ceramic blades are close to hardness like diamonds. Unlike metal knives, the Ozeri Elite Chef Black Ceramic Knives do not corrode, rust or leach metal ions from long-term exposure to moisture, oils and acids in common food. These knives will slice through everything from fruits, vegetables and boneless meats with ease. 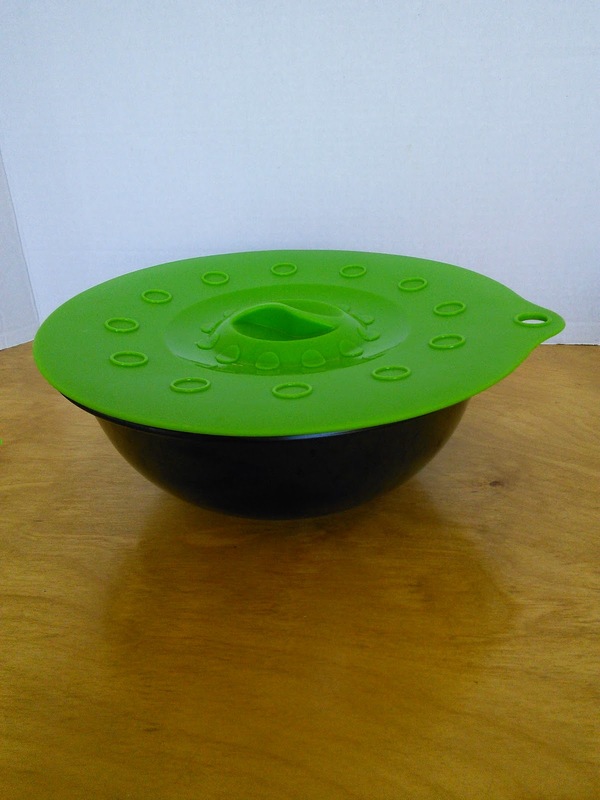 The handles are ergonomic and feel great in your hands to make chopping and dicing so much easier. The knives are also very light in weight, weighing less than half of an equivalent metal knife which helps reduce fatigue and pain associating with preparing big meals and repetitive cutting. 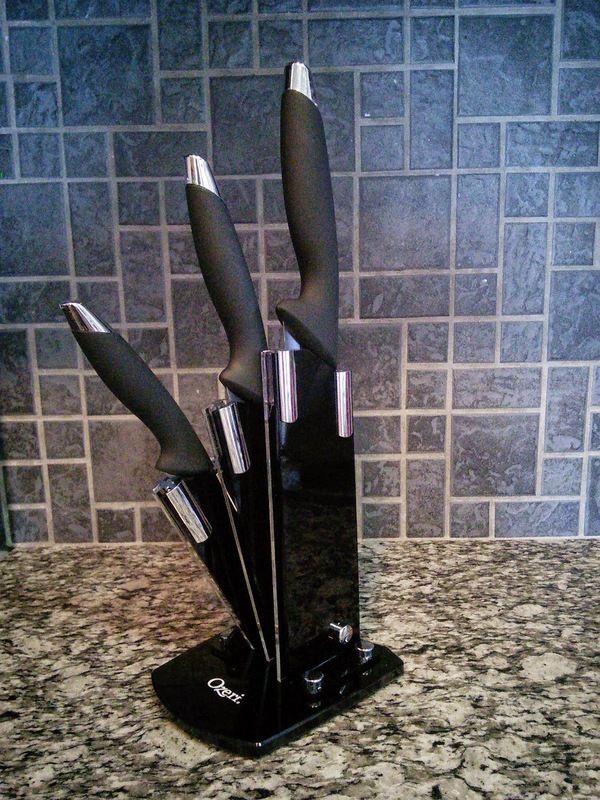 The Ozeri black ceramic knives look awesome in the sold separately Adjustable Ceramic Knife Stand that makes the knives easily accessed when stored on your counter top. See how wonderful the stand looks next to my stove. This stand has separate spaces for the 3", 6", and 9" Ozeri ceramic knives. The protective enclosures prevent blade damage from contact with other knives. I love that the enclosures are adjustable so you can store the knives in different positions for a cool look. The stand has slip-resistant rubberized feet and is made of durable acrylic with a reflective black veneer. This stand will look awesome on any kitchen counter! This stand was designed for the Ozeri Elite Chef 3-Piece Ceramic Knife Set, but will store other knives too. 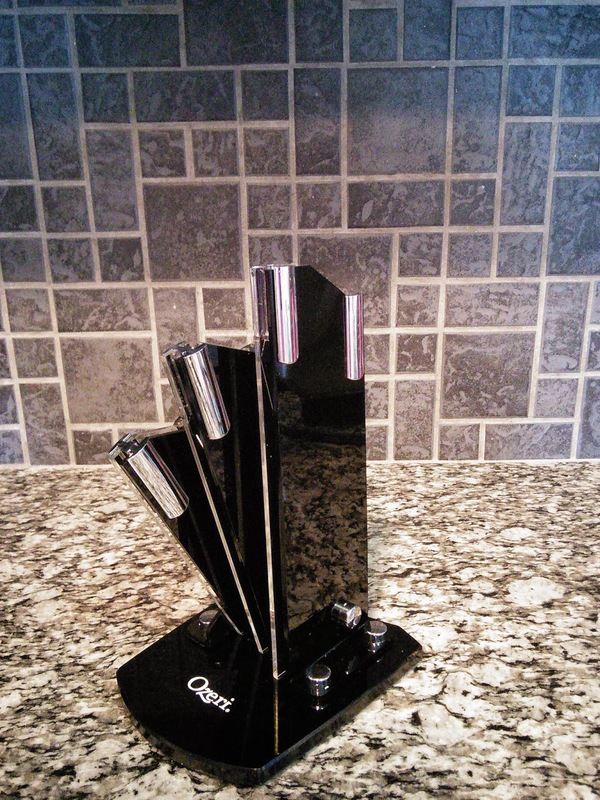 This 3 piece knife set and stand makes a great wedding gift. I was going to give this set to my daughter for her up coming wedding but my husband loves them and wants to keep them. I guess I will have to order a set for my daughter. To look at different views and angles of the Ozeri Elite Chef 3-Piece Ceramic Knife Set and stand, click on the below links. 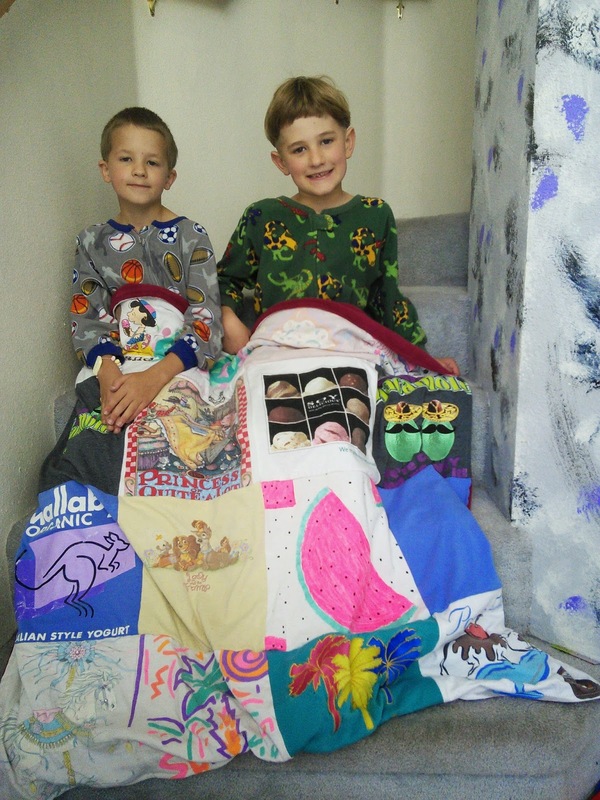 "These opinions are my own and I was sent the above mentioned products to write this review." 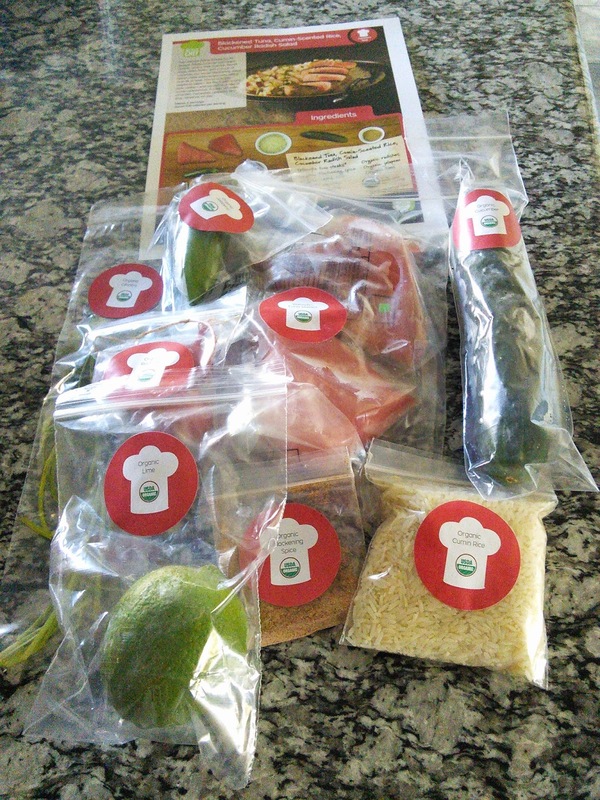 I was offered a free trial of https://greenchef.com/ and they sent me fresh organic ingredients to make 3 meals for two people. 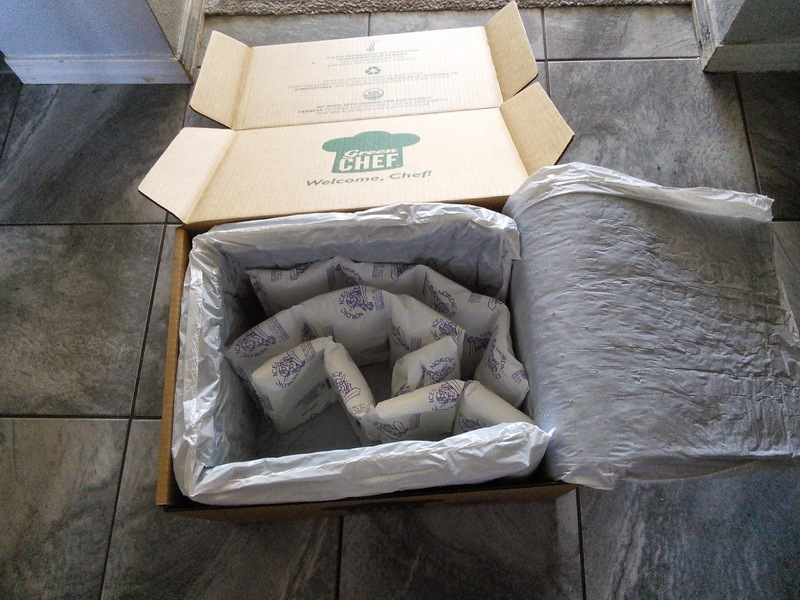 I liked that the ingredients came in box that kept everything at the proper temperature. The ingredients were all labeled too. 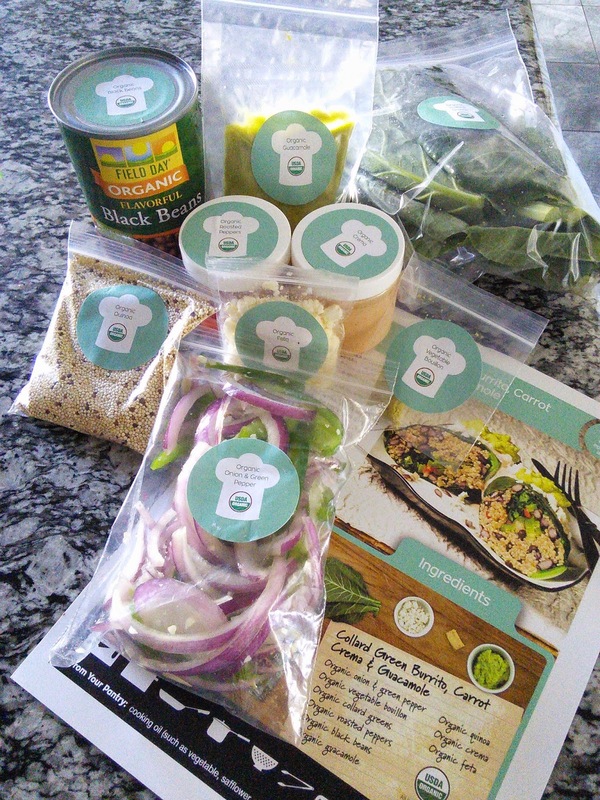 The order came with step by step instructions on how to turn the ingredients into a yummy meal. I loved that I could choose vegetarian or meat meals. You can also choose both. I choose 2 vegetarian meals and 1 seafood meal. They have different menus every week to choose from. I was sent these recipes. 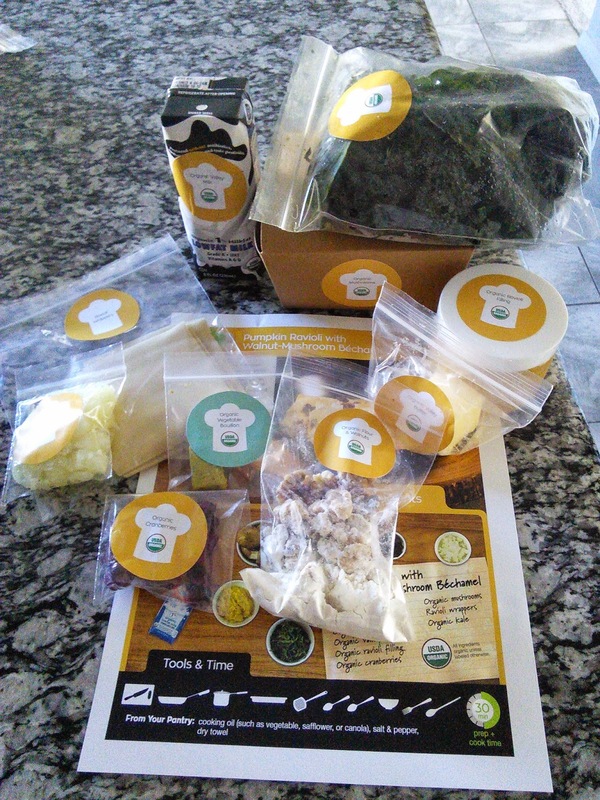 This is what the ingredients for each recipe looks like. 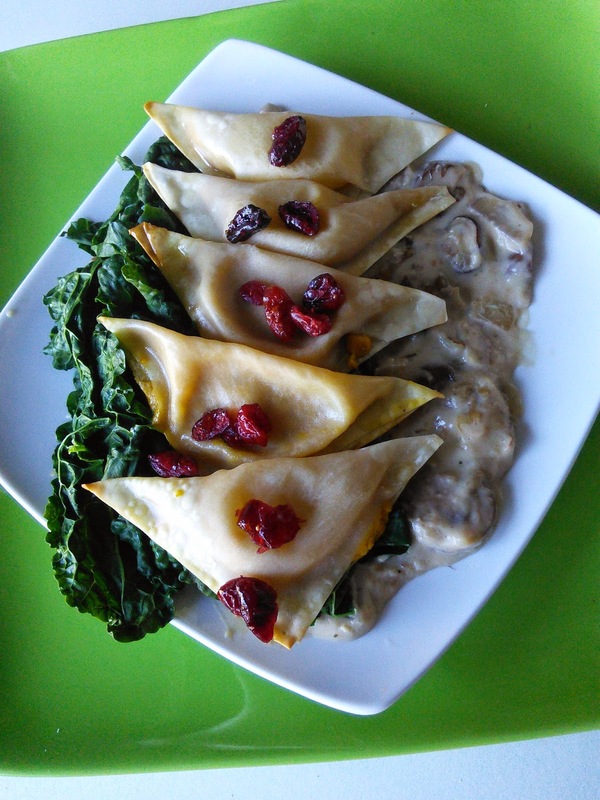 I had fun making the Pumpkin Ravioli and they came out so yummy.